The apartment was nice and it also had a nice balcony. It had all the conveniences we needed and I think anyone would want. The host Mlano was wonderful. It was cold when we got there and he came back to give us the cords we needed to make the pellet stove work. 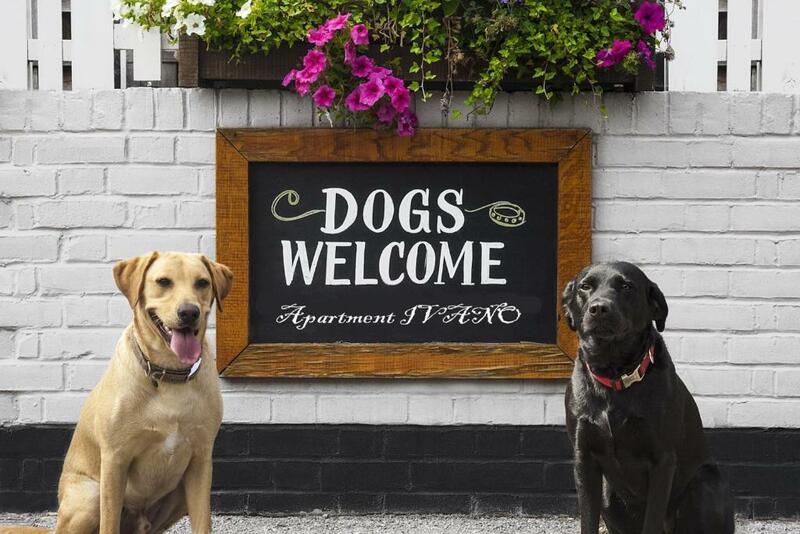 Made our stay a happy one! Fantastic location. The apartment was huge and clean. You have all the tools if you want prepare your meal. The terrace was spacy with a great view. Wifi was fast. The apartment was maintained and rented by a really friendly and helpful guy. Hopefully we will visit this place again!! 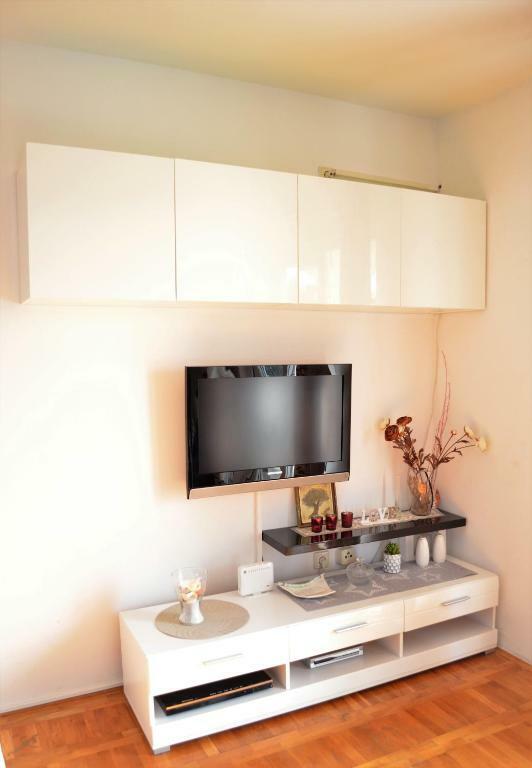 Great appartment in the hill if Ičici ! Clean, spacious with everything you need inside! Warm welcome by the host. Great value for money, I recommend ! Everything was perfect, the only minor thing that could bother someone could be the distance to the beach but it didn't bother us because the owner showed us a free parking spot right next to the beach. The apartment is very clean, comfortable, spacious, it has amazing view... It's just perfect for vacation. We would definitely return there. Owners super nice and helpful. Was very quiet, so we slept super well. Wery well equiped kitchen. Free parking place. Good Wi-Fi. Cozy fireplace in the living room . Good correlation between price and condition of life. Mladen and his mother were very nice, they took us from the bus station and back at arrival and leave. The apartment was very nice, with a lot of space and all the utilities you would need. The area is very nice and quiet and has a nice view. This area is something not to be missed. We will surely come another time. Masses of storage space and plenty of coat-hangers. Lovely views. Det var fint at der var mulighed for at bruge vaskemaskine og opvarmning. Dejlig lille altan med udsigt. Værten var meget venlig. Il motivo del mio soggiorno era King of ucka, una grazie ciclismo. Posto ideale per soggiornare. Il mare è lì sotto. Accolto in modo eccelso, con informazioni durante il tragitto da parte del titolare, mai successo. Il posto è davvero rilassante. Appartamento accogliente,comodo, ben fornito di tutto. Lavatrice, detersivi.!!!!!! Cucina insuperabile. WiFi è una scheggia. Parcheggio privato fuori dalla porta. Voto massimo per me. Perché andarsene? 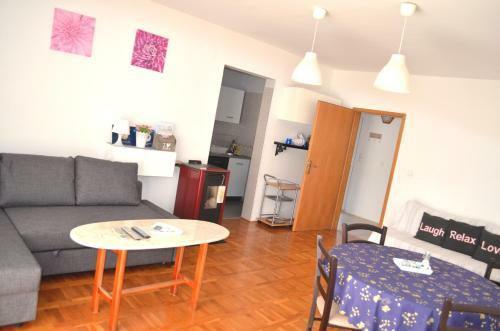 Lock in a great price for Apartment Ivano Ičići – rated 9.3 by recent guests! Apartment Ivano Ičići This rating is a reflection of how the property compares to the industry standard when it comes to price, facilities and services available. It's based on a self-evaluation by the property. Use this rating to help choose your stay! One of our best sellers in Ičići! 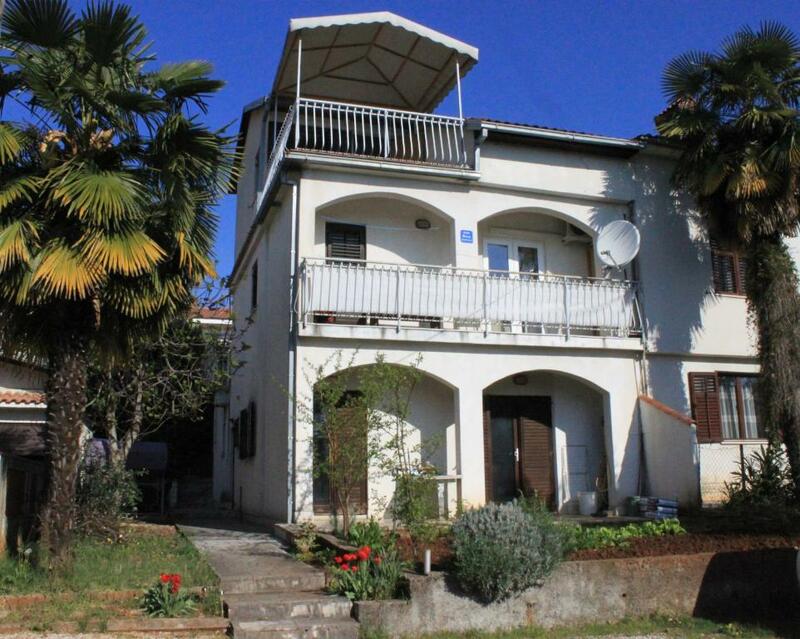 Located 2.8 mi from Opatija, Apartment Ičići offers pet-friendly accommodations with a spacious garden equipped with garden furniture, BBQ and swings. Free WiFi is provided and free private parking is available on site. A pebbly beach is 2,150 feet away. 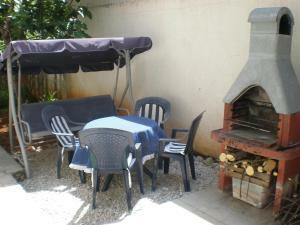 The apartment is air-conditioned and features a terrace with sea and mountain views. The living room consists of a flat-screen TV, while the fully equipped kitchen includes a stove, oven and a fridge. A grocery shop, as well as various restaurants and bars can be found within a 2,100 feet radius. Excursions to Brijuni National Park and the UNESCO-protected Plitvice Lakes can be organized in the center of Ičići, 2,650 feet away. Ičići Apartment is 11 mi from Rijeka and its ferry terminal, while Rijeka Airport is approximately 25 mi away. 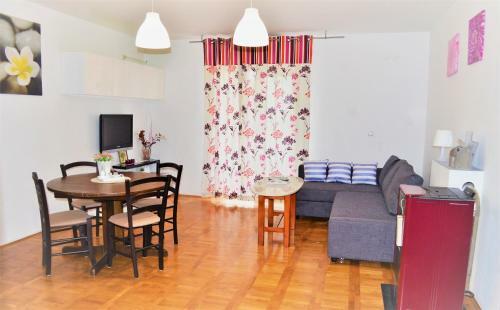 Free transfer to the apartment from the center of Ičići, as well as the other way around, is available. This property is also rated for the best value in Ičići! Guests are getting more for their money when compared to other properties in this city. 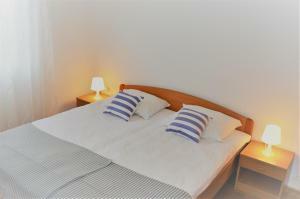 When would you like to stay at Apartment Ivano Ičići? 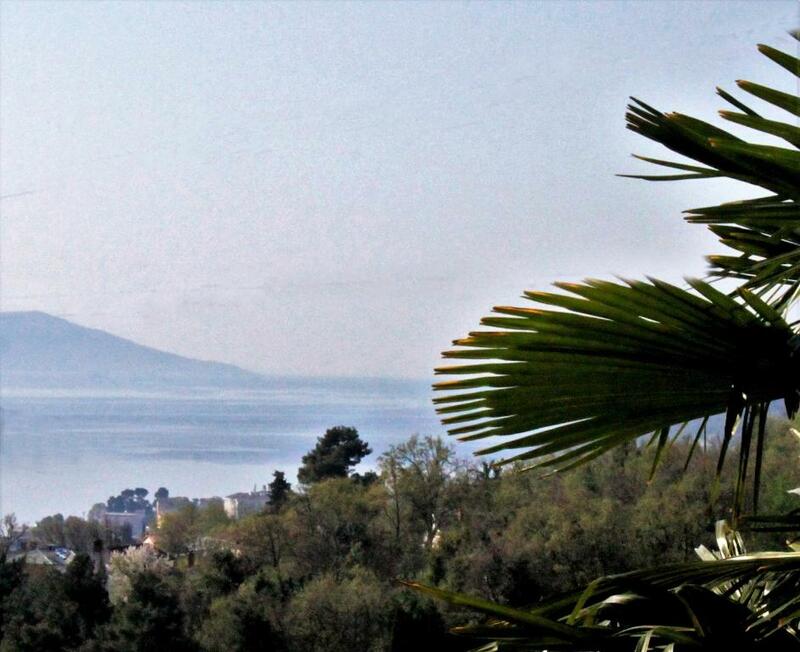 Air-conditioned apartment featuring a terrace with sea and mountain views. The living room consists of a flat-screen TV, while the fully equipped kitchen includes a stove, oven and a fridge. App. Ivano Ičići is situated in very quite area,equiped with all neccesary to spend great time in & to feel like at own home! House Rules Apartment Ivano Ičići takes special requests – add in the next step! Please inform Apartment Ivano Ičići of your expected arrival time in advance. You can use the Special Requests box when booking, or contact the property directly using the contact details in your confirmation. Very difficult to locate and drive to, must have GPS or you may not find it and the streets are very narrow. Host was very nice. Very clean. There was not provided heating for the bedroom and the bathroom. For January was uncomfortable. Nice host, helpful owner, speaking English. There was no iron or ironing board and no wine glasses either. We found it very difficult to use the ancient washing machine, especially as the water to it had been turned off! !